South Sudan's Unhappy Anniversary: Things Are So Bad That The July 9 Celebrations Were Canceled : Goats and Soda On Sunday, South Sudan marks six years as independent country. Between its civil war and humanitarian crisis, things are so bad that anniversary celebrations were canceled. The Bentiu displaced persons camp in South Sudan holds more than 100,000 people who fled fighting in the country's 4-year-old civil war. 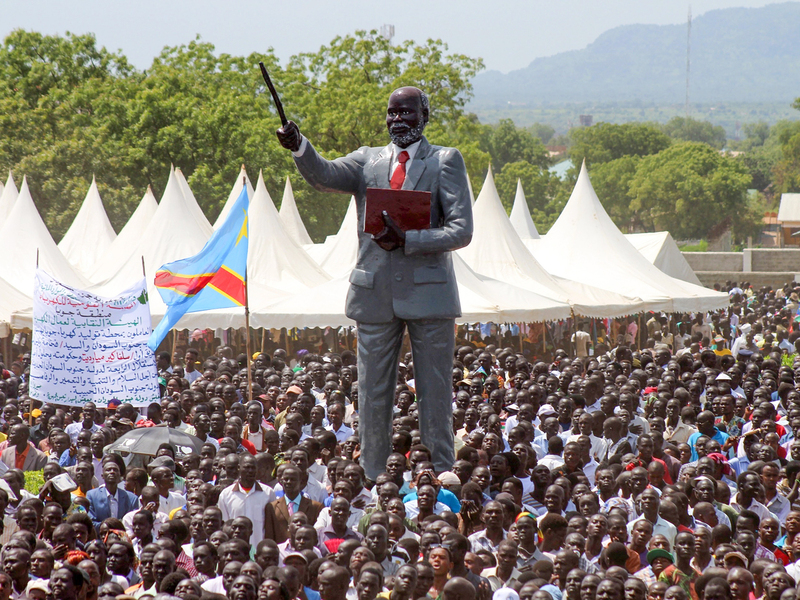 Six years ago Sunday, South Sudan's flag was hoisted in Juba. Amid an atmosphere of optimism and hope, South Sudan became the world's newest country, breaking away from its longtime rival, Sudan. The moment marked the end of decades of fighting between rebels in the predominantly Christian south of Sudan and their northern Arab rivals in the Sudanese capital, Khartoum. NPR's Ofeibea Quist-Arcton, who was in Juba that day, reported that with the parades and children singing, there was a mood of excitement. "You know, I feel now happy, because we are finally liberated from the Arab rule. Myself, I am one of the founders. I'm one of the people who started the war," John Ngum Lang Ngum, who fought with the Sudanese People's Liberation Army, told Quist-Arcton. "But I'm happy that the flag has been hoisted today while I'm alive. And I'm seeing our flag of freedom waving in the air." The creation of South Sudan was a major foreign policy success for the U.S. South Sudanese independence had been championed by politicians on both sides of the aisle dating back to the Clinton administration. But just a few years after its birth, one of the worst humanitarian crises in the world has unfolded in South Sudan. Civil war broke out late in 2013. Millions of people have been forced to flee their homes. Famine was declared in parts of the country in February and now more than half the population — six million of the country's 11 million people — are considered by the United Nations to be on the brink of starvation. "At the moment, the two biggest things in South Sudan are the problem of famine as well as the escalation of violence — the civil war itself," says Bishop Isaiah Majok Dau, overseer of the Sudan Pentecostal Church. "So we are hungry and we are afraid at the same time." Dau says the situation in South Sudan has been going from bad to worse. 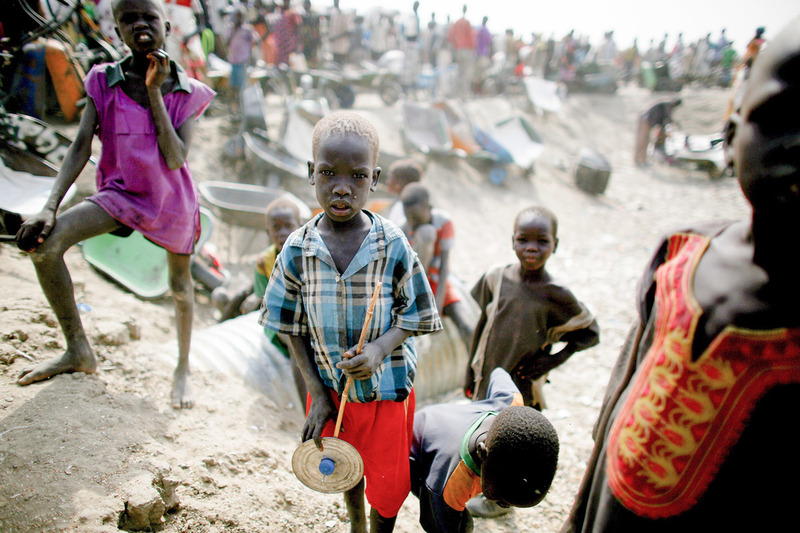 When it gained independence in 2011, South Sudan was one of the poorest countries in the world. It had almost no paved roads. Most of the population survived from subsistence farming. Schools were in shambles. The only significant source of cash was its oil wells, which were producing billions of dollars worth of crude. But the oil revenues quickly became a prize to fight over. Richard Downie, deputy director of the Africa Program at the Center for Strategic and International Studies in Washington, D.C., is pessimistic about a timely resolution to the current civil war in South Sudan. Millions of South Sudanese have been displaced because of the conflict and have not been able to go home for years. "First and foremost, so many lives have been lost," he says. "The country has collapsed. The economy is in ruins and the humanitarian disaster that South Sudan is facing is really just astonishing." So many South Sudanese have fled their homes that the world's largest refugee camp, the Bidi Bidi camp, now sits just across the border in Uganda. And inflation last year topped 800 percent. In 2013, the vice president, Riek Machar, who is from the Nuer tribe, took up arms against the president, Salva Kiir, who is a Dinka. The country has become sharply divided along ethnic lines, and human rights groups warn the country could be on the verge of a genocide. Downie says the collapse of South Sudan has been incredibly frustrating for Western diplomats who worked so hard to establish the country. "It's particularly galling for the United States given the investment it's made in the country," Downie says. "Its own aid workers have been the target of attacks and rapes. Journalists have been targeted for abuse. Humanitarian supplies and donations from the U.S. have been stolen, looted or prevented from reaching the people who most need them." The abused journalists include NPR's East Africa correspondent, Eyder Peralta, who was jailed for four days in Juba this spring for attempting to report on the situation in the country. Many international aid groups have left or scaled back their operations. One that has stayed is Mercy Corps. Mercy Corps country director, Deepmala Mahla, is based in Juba. 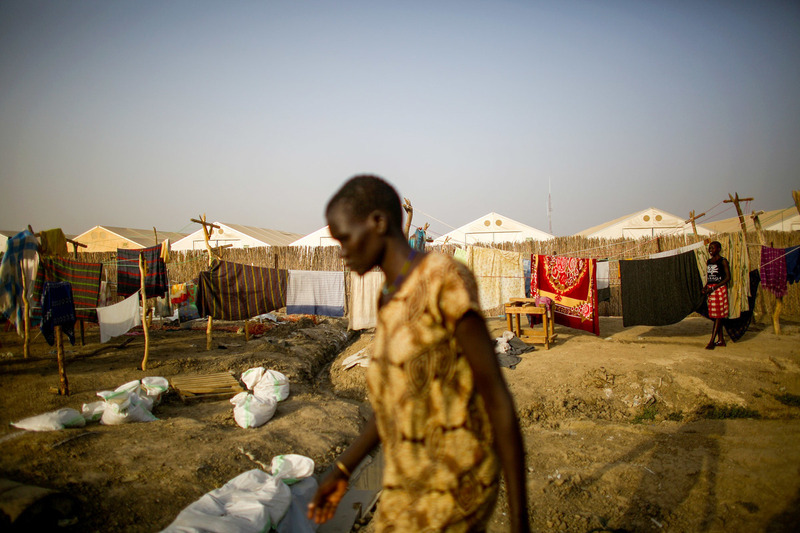 She says it has become harder and harder for aid groups to operate in South Sudan. "Ongoing fighting, active hostility toward aid workers," Mahla ticks through the challenges her organization faces in the country. "Intimidation, looting of our facilities, attacks, killings. I would say sometimes bureaucracy, weather, rains, absence of roads." South Sudan has terrible infrastructure. Aid groups have to fly many of their supplies throughout the country because the roads are impassible. But Mahla stresses that the thing that is hurting the people of South Sudan the most is the war, the complete lack of security for South Sudanese and the humanitarian groups that are trying to help them. "The biggest issue in South Sudan," Mahla says, "is that we are trying to find a humanitarian solution to a political problem." Until there is progress on peace, she says, there isn't going to be progress on anything else. Dau from the Pentecostal Church says it's hard to find peace when all you've ever known is war. South Sudan has been the scene of fighting for decades, dating back to the end of colonial rule after World War II, when the British and Egyptians put Khartoum in charge and rebels in the south fought back. That conflict lasted into the 1970s. What the Sudanese call "the second civil war" erupted in the late '80s, pitting the Sudanese People's Liberation Army against Khartoum. The 2011 declaration of independence ended that war. But now the country's on to a third. He calls all South Sudanese, whether they're old or young, "children of war." But still he has faith that peace will come. "Because the darker the night, the brighter the light will shine," he says. Dau says part of the job of clergy right now is to lift the spirits of South Sudanese. "Part of our message as a church at the moment is to tell the people 'Hey! There is hope. What has a beginning will have an ending at one time.' So we pray and we work and we hope that the best is yet to come for our country." But that bright light isn't going to shine on South Sudan any time soon. This year's independence anniversary festivities have been officially canceled by the government, which says the country doesn't have enough money to stage a celebration.